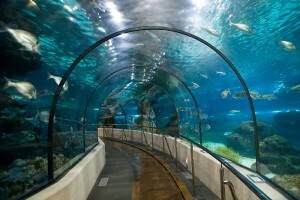 The Barcelona Aquarium is home to an 80-meter underwater tunnel, which gives guests a unique experience as they pass underwater with all of the astonishing aquatic life on display around them. This submerged channel is designed to make you feel like you are taking a walk on the seabed, surrounded by creatures of all shapes and sizes. With a great variety of water species swimming over and around you, you will be given the opportunity to catch rare glimpses of these creatures from the depths of the ocean, from giltheads, to morays, to ocean sunfish and plenty of sharks including the ragged-toothed sand tiger shark. 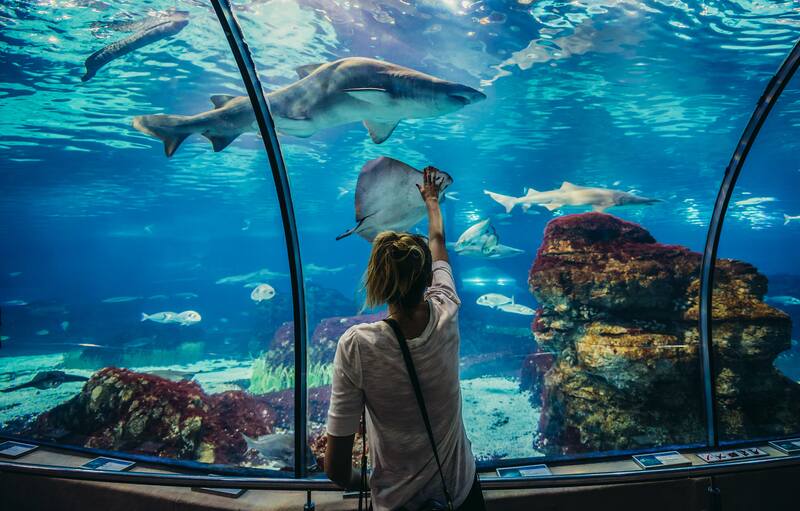 The magnificent Barcelona Aquarium is home to 35 tanks, and is divided into three main sections, where displays of sea life from the Mediterranean and many oceans across the globe are sure to leave the whole family astounded! Mediterranean Tanks: The Mediterranean section of the aquarium is separated into 14 different areas, including the Red Coral Community, as well as the Neptune Grass Community. From octopuses and dogfish, to seahorses and scorpion fish, visitors are will gain a new insight into the world beneath the surface of the sea which Barcelona faces. Tropical Tanks: For those who seek an underwater venture into the environments of the Red Sea, the Caribbean and the Great Barrier Reef, the vivid colors of the Tropical tank selection are sure to captivate your imagination. 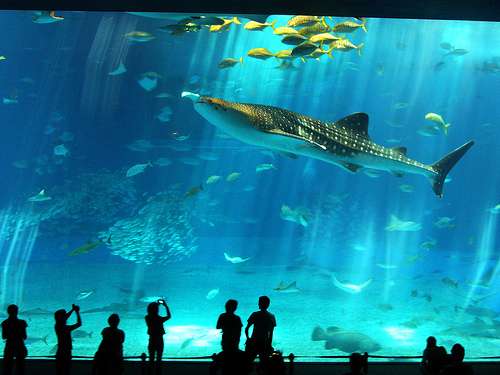 This aquatic unit is home to tropical sharks, a coral reef and even poisonous and aggressive fish! ‘Planeta Aqua’: Ever wonder how animals adapt to the glacial cold in Antarctica or the dark abyss of the ocean floor? This section of the Barcelona Aquarium will answer all of your lingering questions while you take in the beauty of animals including the Humboldt penguin, the red-bellied piranha, the upside down jellyfish and the spotted garden eel. 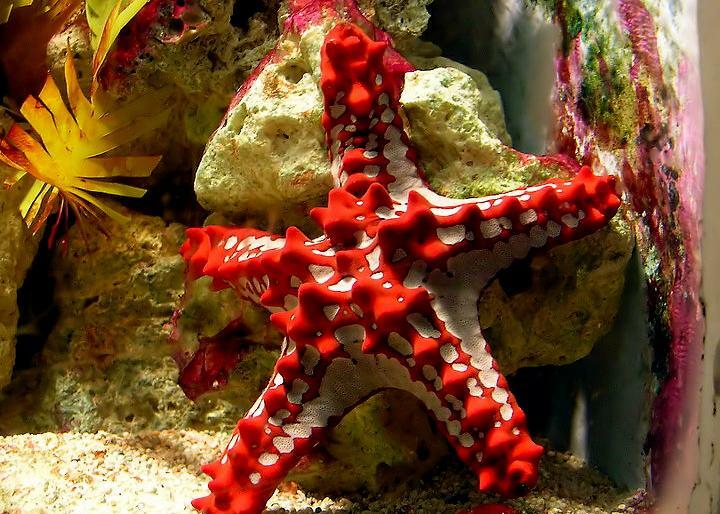 The Aquarium in Barcelona offers children a fun and educational experience, and will also help the youngsters to better understand the astonishing aspect of the aquatic life below the waters. ‘Explora!’ boasts over 50 interactivities where kids are left to discover three Mediterranean coastal ecosystems, from the marshes of the Costa Brava to an underwater cave in the Islas Medas. The Barcelona Aquarium offers kids who are a little more familiar with the Spanish language the chance to have a shark sleepover! In the ‘Sleeping with Sharks’ program, children aged 8-12 can spend the night surrounded by sharks and more than 8,000 different fish, and discover their nocturnal behaviors. 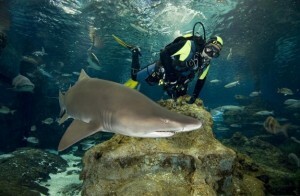 The Barcelona Aquarium offers a one-of-a-kind adventure, and for those who like to get a little more hands-on, the Diving with Sharks program is not to be missed. Here, qualified divers have the opportunity to get up close and personal with over 15 sharks while learning all about the biology of these amazing animals. All in all the Barcelona Aquarium makes for a terrific family outing and certainly offers a memorable experience for every visitor. What’s more there’s also the option to take a guided tour (in Spanish or Catalan), as well as an on-site cafeteria and a souvenir shop, so you can easily enjoy the whole day at this fantastic facility. Location: The Barcelona Aquarium is located at Port Vell, and can easily be reached by either the Drassanes (L3) or Barceloneta (L4) Metro stations. This entry was posted in Activities, Places and tagged barcelona activities, Barcelona activities for children, barcelona aquarium, barcelona day trips, barcelona tourist guide, family activities barcelona, tourism in barcelona, visiting barcelona. Bookmark the permalink.